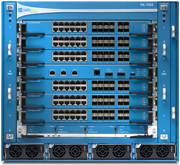 Next-generation firewall model families include Palo Alto Networks PA-4000 Series and the PA-2000 Series, along with the newly released PA-500 and range from 250Mbps to 10Gbps in throughput capacity. Palo Alto Networks next-generation firewalls are built on a strong networking foundation, offer a familiar policy management interface and offer unprecedented features for your security infrastructure. The PA-200 is small and quiet enough to sit on a desk, yet powerful enough to deliver next-generation firewall security to a distributed enterprise office. This new platform extends visibility and control over applications, users and content into enterprise branch offices. 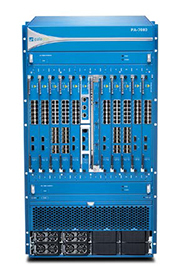 The Palo Alto Networks™ PA-3000 Series is comprised of two high performance platforms, the PA-3050 and the PA-3020, both of which are targeted at high speed Internet gateway deployments. The PA-3000 Series manages network traffic flows using dedicated processing and memory for networking, security, threat prevention and management. Safely enable applications, users, and content at throughput speeds of up to 4 Gbps using the PA-3050 or the PA-3020. Predictable, multi-Gbps performance is delivered via dedicated, function-specific processing for networking, security, content inspection, and management. The Palo Alto Networks™ PA-5000 Series is comprised of three high performance models, the PA-5060, the PA-5050 and the PA-5020, all of which are targeted at high speed datacenter and Internet gateway deployments. Use the PA-5060, PA-5050, and PA-5020 to safely enable applications, users, and content in high-speed datacenter, large Internet gateway, service provider, and multi-tenant environments. Predictable throughput levels of up to 20 Gbps are achieved using dedicated, function-specific processing for networking, security, content inspection, and management. The PA-5200 Series next-generation firewalls prevent threats, and safely enable applications, across a diverse set of high-performance use cases (e.g., Internet Gateway, Data Center, and Service Provider environments). The series includes the PA-5260, PA-5250, and PA-5220 which provide predictable performance with deep visibility into and control over all traffic, including encrypted traffic. The PA-5200 Series enables you to secure your organization through advanced visibility and control of applications, users, and content at throughput speeds of up to 72 Gbps. Dedicated processing resources assigned to networking, security, signature matching, and management functions ensure predictable performance. Our PA-7000 Series high-performance network security appliances offer the perfect blend of power, intelligence and simplicity. Power - derived from a proven platform architecture that combines an ultra-efficient, single-pass software engine with nearly 700 function-specific processors for networking, security, content inspection, and management. Intelligence - that optimizes security processing resource utilization and dynamically scales as new computing power becomes available. Simplicity - resulting from a unified approach toward management and licensing.